Heeeeeeey it's been ages.... I noticed that once I stop writing, I can't write it for a long long time....hahaha (well it's not good at all though!!) Well is it summer vacation there?? I see many kids playing around. and.... I found tiny tiny baby cats by my house!! 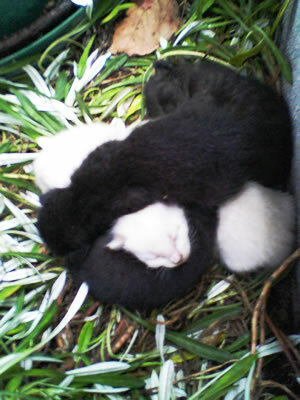 There are 5 little cuties...can you count them?? Sooooooooooooo do you love jewelries?? I found other cute rings at Jewel Pop's!! K18WG pink Sapphire Beautiful Gradation Ring and K18WG blue Sapphire Beautiful Gradation Ring......See them!! so beautiful and adorable. You can check your ring size here. If you want to order the rings, please put SKU, quantity and ring size @ customer comment space!! I love silver accessories!! 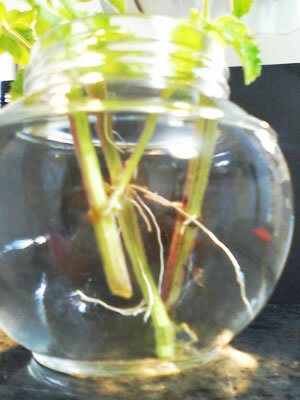 Do you know "Leinani"?? 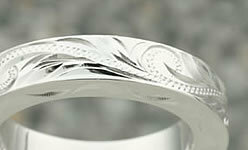 Leinani is a Famous Trusted Hawaiian Jewelry brand. 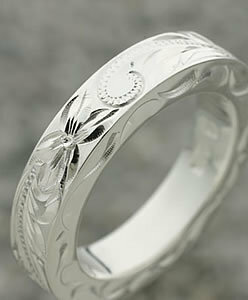 Hawaiian jewelry is known for its elegant and beautiful carving. I love this ring soooo much!! Very detailed carving works!! As you can see, this ring is different from the other ones. 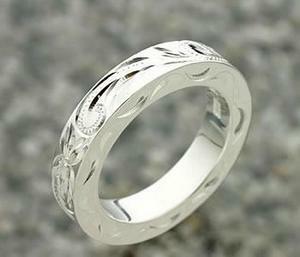 Though the ring is thick (maximum width is 4 mm) but very, elegant. This ring will match boys too!! This ring is 130$. In fact, it isn't sold at English site now, but I secretly arranged it XD It means everybody who kindly reads my blog can get the item! Soooooo if you want to get one, please attach the following message at the customer's comment space. 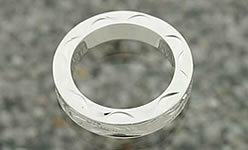 Choose size from 6 to 16, you can see ring size converting table at the page. It will take 4 weeks before shipping =D If you are interested in Hawaiian Jewelry, please see japanese page. If you have a questions, I will answer!! Soooo what kind of jewelry do you like? ?